Electronic and communications products, integrated circuit chip, computer parts and electrical appliance,all kinds of precision component, hardware tool, instrument and meter, aerospace and astronautics, jewelry, horologe, gift, office supply, trademark signs, sanitary ware, kitchen ware, plastic product, metal ornament, fastener, eyeglasses frame, , sanitary ware fittings, tableware, food, beverage and alcohol & tobacco,etc all kinds of area graph and characters’s, marking, mass production, marking clear and beautiful, never disappear. 1. 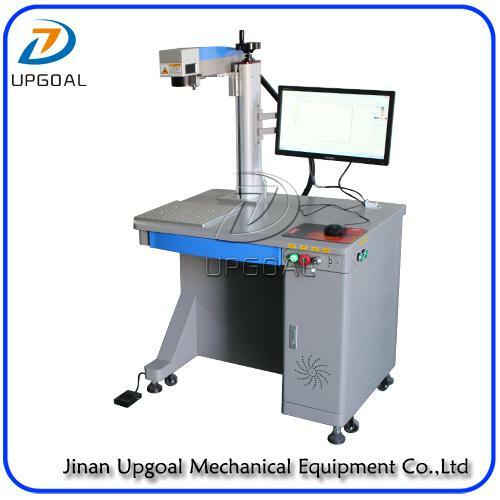 Adopting fiber laser to output laser, high electro-optic conversation rate, compact size, good quality velocity of light. 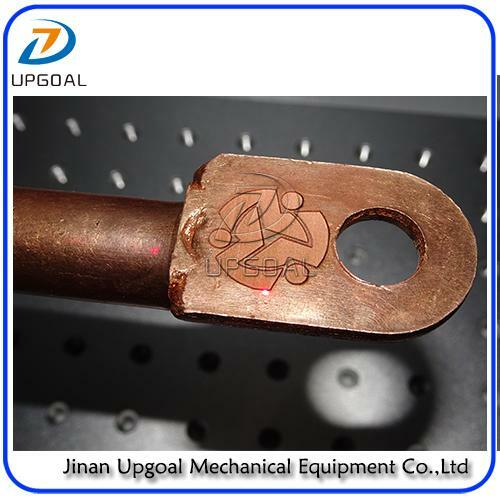 The life time of fiber laser is more than 100,000 hours, if each year working 365 days, each day working 24 hours, then the life time is more than 10 years, are the real maintenance free, saving the later period maintenance cost. 2. 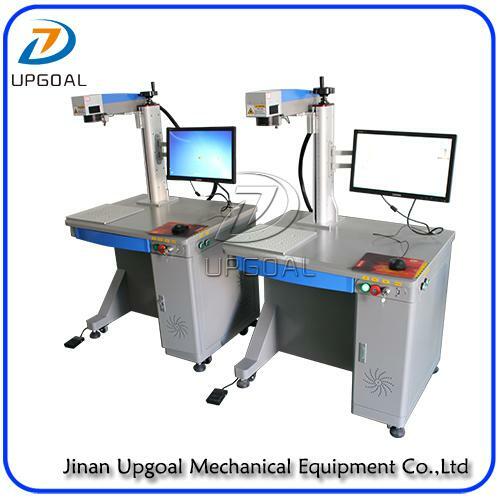 Fiber laser marking machine has good facula mode, more thin single line, suitable for hyperfine processing, high system integration, less malfunction, are the real suitable for industrial processing area. 4. Marked graph and characters is permanent , will not regression due to friction. 6. Not influenced by severe environment and bag weather, can continue working with accumulator when power failure. 8. 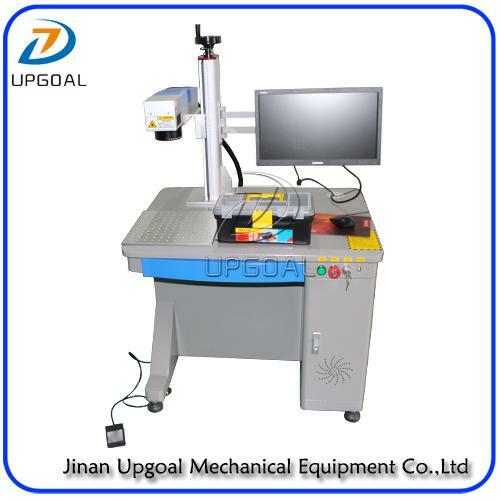 High perpendicularity of lifting device and marking table, suitable for small workpiece fine marking. 10. With foot switch, more convenient marking. 12. 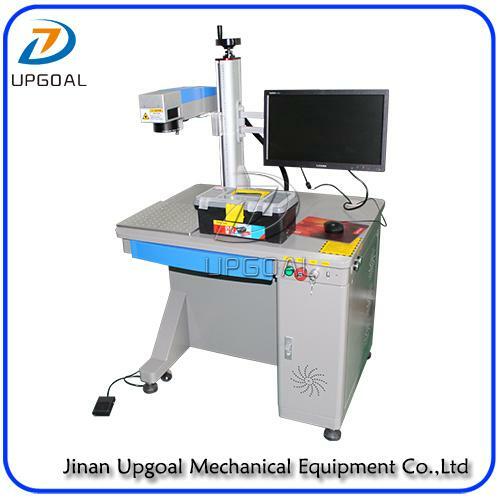 High perpendicularity of lifting device and marking table, suitable for small workpiece fine marking. 13. Can for bar code, graph, characters, OR code, ect marking, supporting PLT, DXF, BMP such format, can use SHC, TTF word stock; System can auto encoding, auto marking serial number, batch number, and date, ect.